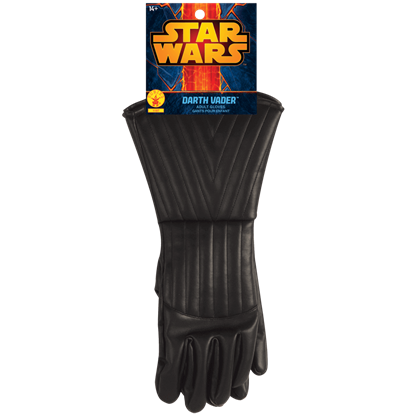 Depict the Sith Lord of the original Star Wars trilogy with the Adult Darth Vader Gloves as a final piece to your costume. 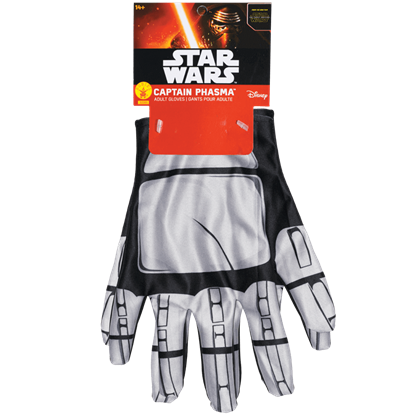 For the Jedi warrior who seeks to portray Anakin Skywalker, these costume gloves are the perfect accessories. Katniss Everdeen wears a black archery glove as part of her tactical outfit in The Hunger Games: Mockingjay Part 2. This Adult Katniss Costume Glove is the perfect finishing touch to your Mockingjay outfit for any costumed event. Leave your past behind and move without hesitation as the dark Jedi in service to Supreme Leader Snoke and his First Order. 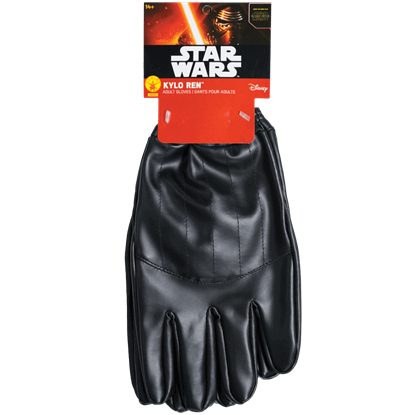 Stand firm against every foe and maintain a steady grip on your lightsaber with the Adult Kylo Ren Gloves. 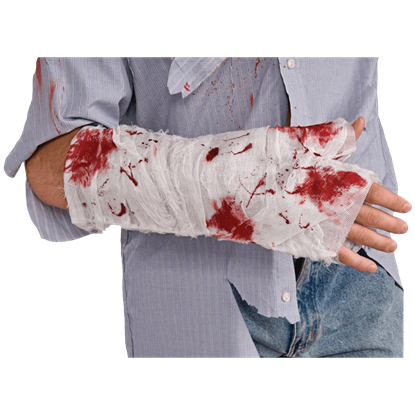 No First Order soldier should be without this costume accessory this Halloween. 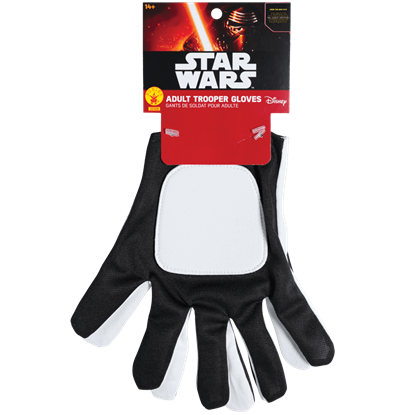 Add to the confidence and strength of your grip when carrying your F-11D blaster rifle to the next cosplay event with the Adult Stormtrooper Gloves. It seems like, in Steampunk style, the hands are always forgotten in favor of goggles, gears, and hats. The Black Steampunk Ruffled Lace Gloves are an elegant addition to any outfit that adds a touch of color and a bit dose of style. 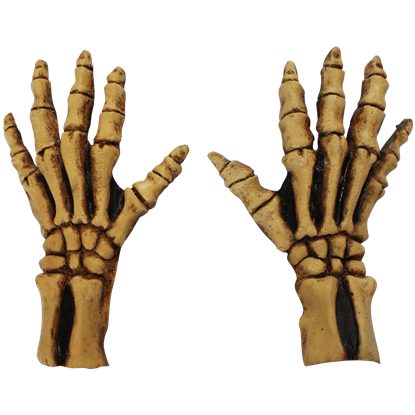 Your hands will look like you have had the flesh stripped from their bones when you wear the Bone Colored Junior Skeleton Hands! 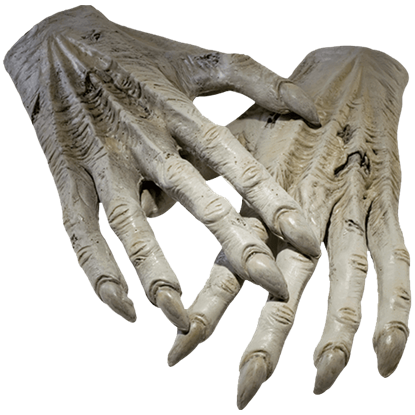 These hands will eliminate all traces of life, leaving only skeletal digits where your fingers once where. 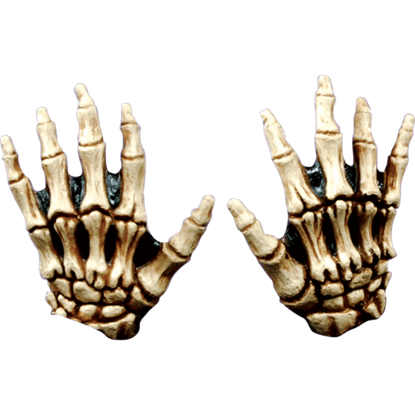 Whenever you don these Bone Skeleton Gloves, you will have an authentic pair of skeletal, deathly hands at your disposal. 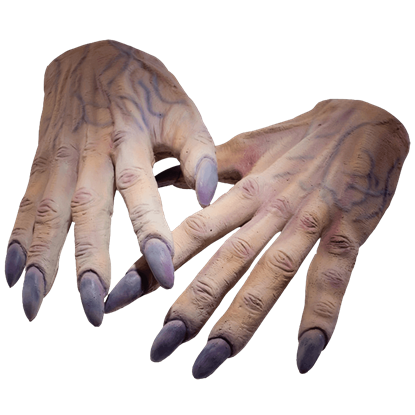 Even better, these bony digits will respond and work just as well as your mortal, flesh-covered fingers do! 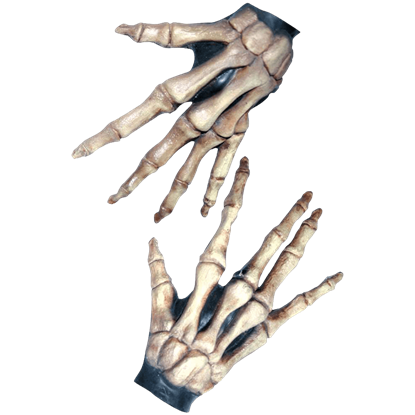 Make sure no one has a bone to pick with your spooky Halloween costume this year by adding the Bone-Colored Large Skeleton Costume Hands to your ensemble! These detailed skeleton prosthetic hands are worn like gloves.